The Baltimore Ravens have had problems with personnel on the field, but they have also suffered off the field as well. The offensive coordinator has been an inconsistent spot for the team since their existence as a franchise. Since 2012, the Ravens have had five different offensive coordinators. They run through them like a middle schooler runs through girlfriends. It seems like every week there is a new coordinator on the team. 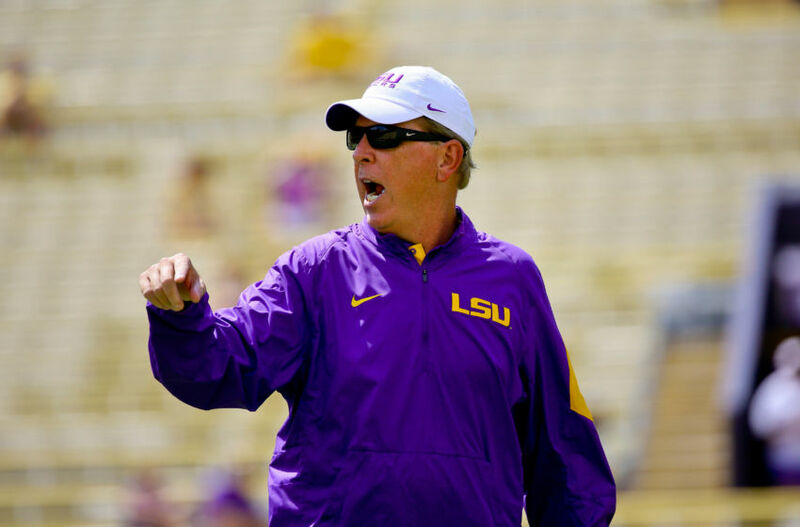 The longest tenured offensive coordinator was Cam Cameron, who was with the team for four seasons. It is ironic that a team with long tenured head coaches has had inconsistencies with a coordinator position. But to be fair, this is for a number of reasons. Some of the coordinators have been fired, but some have thrived and gone on to take head coaching jobs. 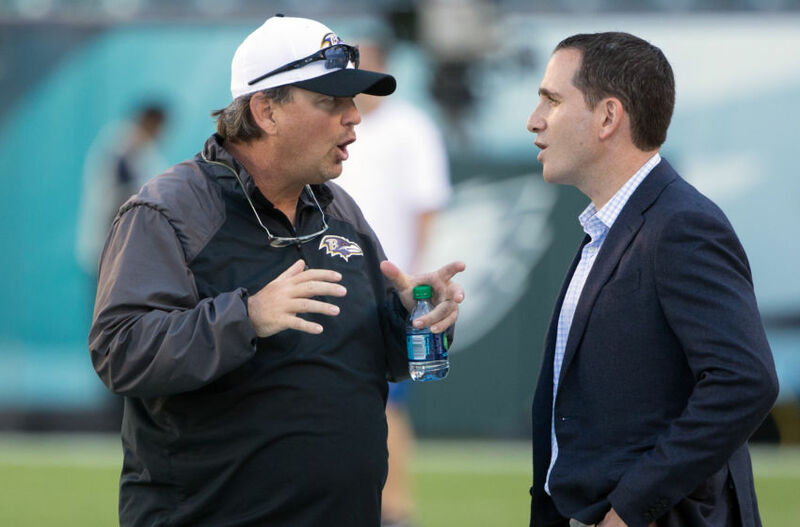 Either way, it is a spot that the Ravens must fix if they want to be successful. The offense cannot be consistent if the offensive coordinator is different every year. 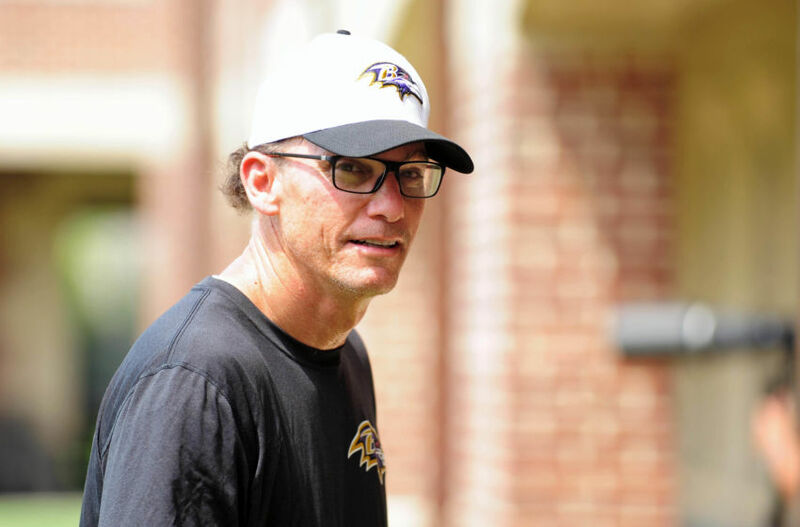 There was optimism when Marc Trestman came into Baltimore. He had an unsuccessful tenure as the Bears head coach, but was a solid offensive coordinator. You can argue that Trestman did not get a fair shot in 2015, because of the number of injuries the Ravens suffered. Even with the injuries, the Ravens finished the season with one of the better ranked offenses in the league. Many fans thought that Trestman should have been fired following the season, but he was given one more shot. The next season did not last long. 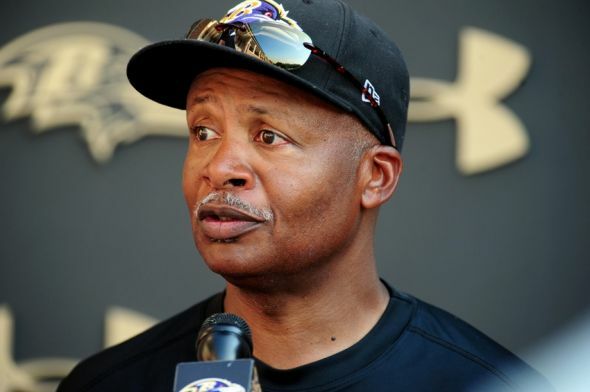 The Ravens started out the season 3-1, but the record was deceiving. The offense struggled to score points and it took lucky breaks to pull out wins. After a week five loss to the Redskins, the front office had seen enough and fired Trestman. 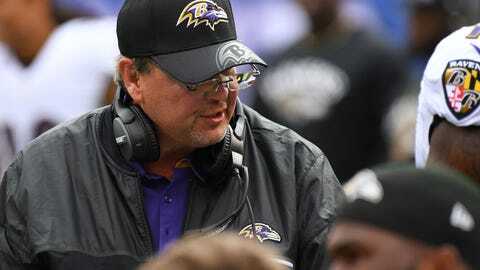 It was an unsuccessful tenure and the Ravens were not able to find any balance in their offense. It is hard to give Marty Mornhinweg a full rank because he is still coaching, but I will go off of last season. He took over the play calling duties once Marc Trestman was fired in week five. 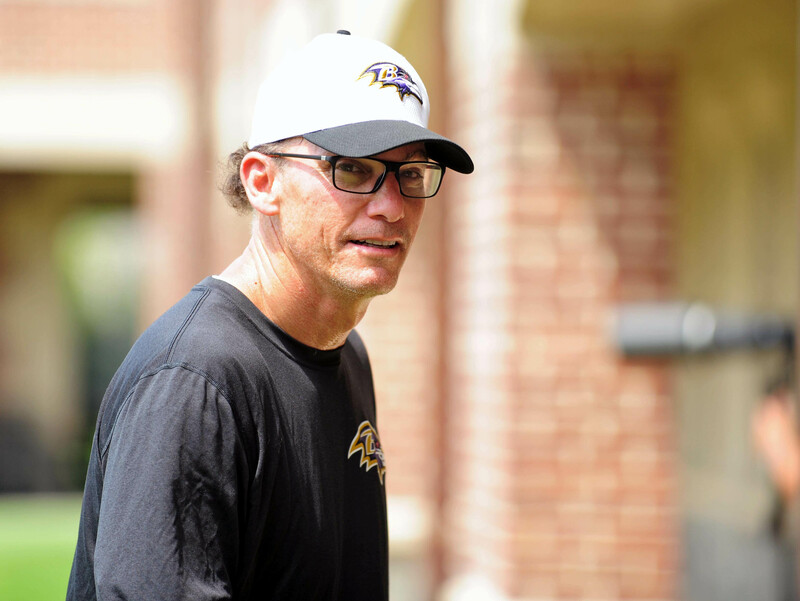 Much like Trestman, the offense could not find an identity and struggled during the season. The offense finished the season ranked 28th in the rushing attack and 21st in points scored. That is not good enough to be a contender in the league. They continued to rely on Justin Tucker to score points and get them out of tight situations. It seemed at points the offense was more comfortable kicking field goals than scoring touchdowns. The main issue was the pass happy philosophy. Mornhinweg did not want to run the ball, even with two promising backs in Terrance West and Kenneth Dixon. Joe Flacco threw a career high 672 times and that was not to the benefit of the team. If the offense does not produce this upcoming season, there is a good chance he could be on his way out very shortly. Cam Cameron is an exception here. 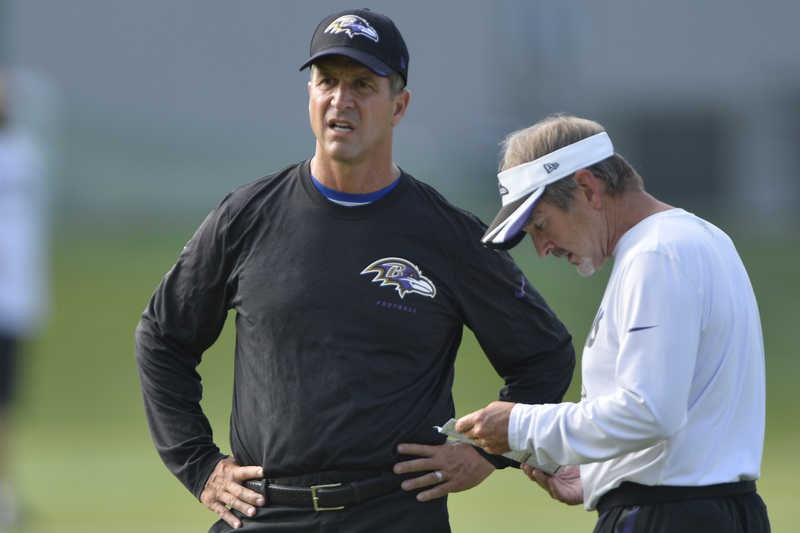 He spent four seasons as the offensive coordinator, which is a long time in Baltimore. In 2008, he inherited a rookie quarterback and rookie running back, but made it work. He had the benefit of a great defense during his tenure, but the offense produced as well. Ray Rice rushed for four straight 1,000 yard seasons from 2009-2012. The consistent ground game helped develop a young Joe Flacco, who was thrown into the fire early. I think the firing of Cameron was justified. During the 2012 season, he seemed to shy away from running the ball with Ray Rice, which frustrated many fans. Ultimately, it turned out to be for the better. Jim Caldwell took over the offensive coordinator duties in week 14 of the 2012 season. The Ravens did not finish out the regular season well, but heated up in the playoffs. A team that is known for defense was led by their offense to a Super Bowl win. Caldwell helped produce one of the best runs by an NFL quarterback in playoff history. Joe Flacco played lights out. He tied Joe Montana as the only quarterback to throw 11 touchdowns and 0 interceptions in the playoffs. It took some luck and destiny, but ultimately it was Flacco and the offense that did the job. Caldwell’s success with the Ravens earned him a head coaching job with the Detroit Lions the following season. I rank Caldwell as #2 because he spent such little time in Baltimore. His short tenure was very successful and it would have been interesting to see what the offense could have done if he stayed. I have to give Kubiak the #1 rank here. In his one season in Baltimore, the Ravens had on of their best offensive years. The offense was at its best because it had a balanced attack. Joe Flacco was extremely productive in Kubiak’s system. He was comfortable in the picket and was able to put up a career high 27 touchdowns. What was more even impressive was his inability to make mistakes. Flacco only threw 12 interceptions on the season. Kubiak also revived a 29 year old Justin Forsett. Forsett rushed for over 1,200 yards and scored 8 touchdowns. He and Kubiak seemed to be on the same page all season. If it were not for the defensive busts in the AFC divisional round, the Ravens could have made it to the Super Bowl. Since Kubiak left the following season, the Ravens offense has not been the same. They were unbalanced and inconsistent. 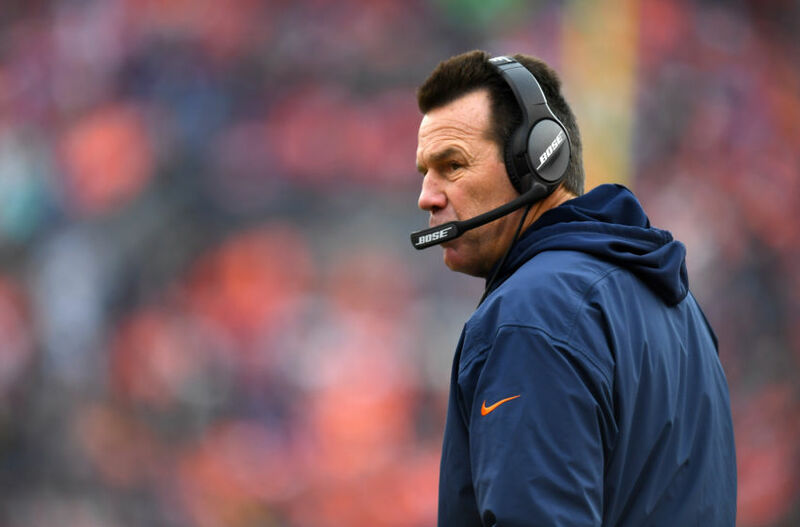 I really think the past two seasons would have been different if Kubiak was calling the shots.